Attention science fiction fans: we are now less than 45 days away from our inaugural Escape Velocity event! The guest lineup is almost complete, the panel schedule is being finalized, and the finishing touches are being put on the gallery display objects. Are you “go for launch?” Get your tickets here! We’ve had a lot of announcements since our last project update in April, so take a look at what’s new with the Museum this month. WRAL News in Raleigh, NC featured a story on the costume designers at UNC Chapel Hill who are creating some of the incredible costumes for the Museum. You can watch the segment here and catch a glimpse at the stillsuit from Dune and Neo’s iconic outfit from The Matrix. 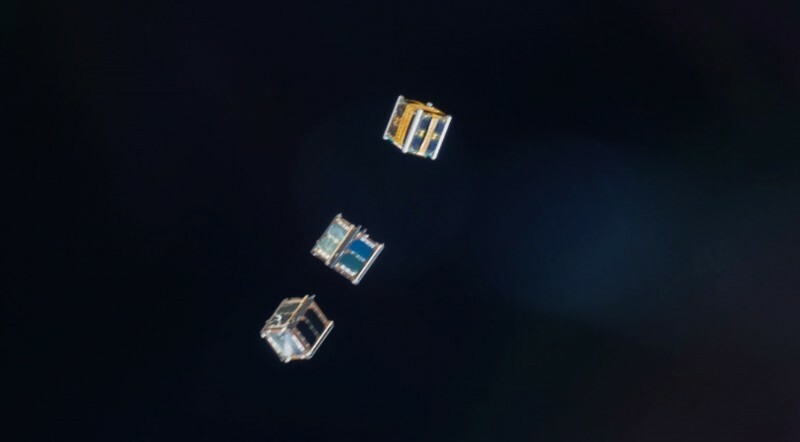 The international CubeSat competition which the Museum held in partnership with NASA and Cornell University came to a close, and we just announced the winners last week. Congratulations again to the three winning teams who will be presented awards on July 2 at Escape Velocity. To learn more, see our press release here. As part of this ongoing educational mission, we will be hosting a teacher development workshop on July 3, the final day of Escape Velocity, at the Gaylord National Resort. K-12 educators who are interested in learning new approaches for how to incorporate science fiction in their lesson plans are encouraged to attend. Learn more about the workshop and how to register here. 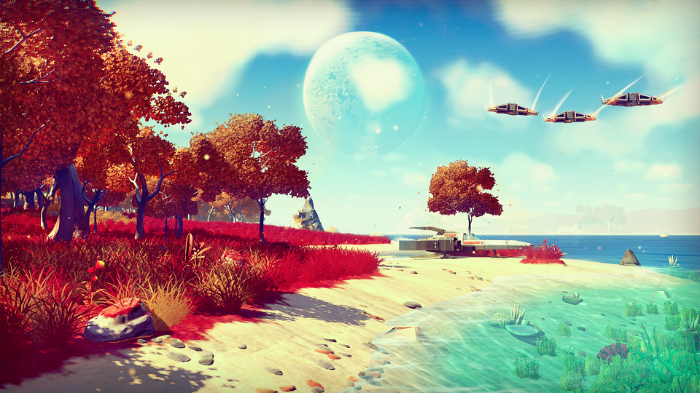 One sure fire way for teachers to get their students excited is with the highly anticipated game No Man’s Sky from developer Hello Games. Scheduled to be released in about a month, this open universe exploration title is sure to be one of the year’s best, and it will be featured at Escape Velocity! 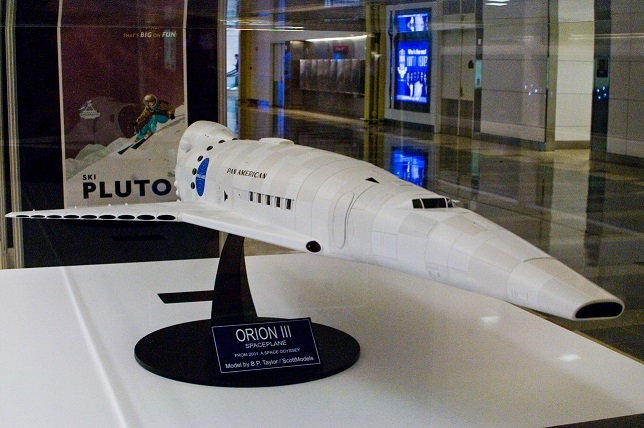 COMING SOON: The stunning Orion III spaceplane model that was part of the Museum’s Future of Travel exhibition last year at Reagan National Airport has found a new place to dock. For the next twelve months you can see it on display at the Maryland Science Center in Baltimore. Speaking of Baltimore, we want to encourage all science fiction and fantasy fans in the area to check out our friends at Balticon 50 on Memorial Day Weekend. Hotel room key card privileges: flash your EV room key card and get into the Opening concert for free; 20% merchandise discount at the Escape Velocity store; front of line to the Space Party on the hotel roof bar.